We’ll step into a beautifully held virtual retreat space together, and I’ll walk beside you as you explore your deepest desires and fears surrounding TRUSTING yourself, and fully stepping into a soul-guided, heart-centered life. 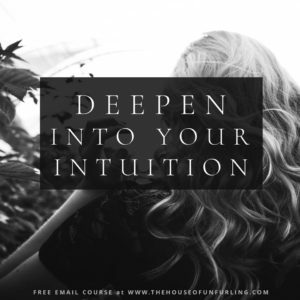 Your intuition is your greatest, truest asset, yet when we take our first steps into a more intuition-led lifestyle (balanced with but no longer dominated by our logic); you may find yourself overcome with hesitation, doubt, fear, confusion. For a full 4 hours, you’ll have me by your side as we get to the root of your hesitations, activate your pathways into your clear intuitive knowing, and explore and play with different ways of deepening into trust and receiving clear guidance for your next decisions in your life and work. 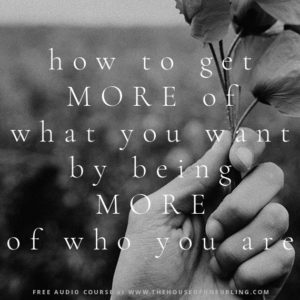 You’ll walk away feeling solidly anchored into your intuition, and excited and confident about which daily rituals will best serve you and your unique personality in creating a luscious love-affair with your guidance, and at a wider level, your life! This is a truly fun, safe exploration into your own inner wisdom & soul, and a sought-after opportunity to work directly with Kath. 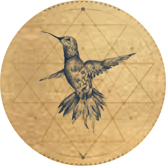 4 hours / feel solidly anchored into your intuition / clear guidance for your next decisions in your life and work / daily rituals that you feel excited about exploring! We’ll meet via Zoom; all our sessions are recorded for replay. All information shared is private and held in the strictest confidence. Once you’ve made your purchase, we will be in touch via email to schedule your session. I look forward to sharing this experience with you!